FROM BOWMANSVILLE, TAKE RT. 625 SOUTH. TURN LEFT ON CENTER CHURCH RD TO PROPERTY ON LEFT. REAL ESTATE CONSISTS OF AN ALUMINUM SIDED RANCH STYLE DWELLING, BUILT IN 1970, CONTAINING A KITCHEN; DINING ROOM; AND LIVING ROOM WITH OPEN FLOORPLAN AS WELL AS THREE BEDROOMS (MASTER WITH MASTER ½ BATH) AND A FULL BATH ALL ON THE MAIN LEVEL. APPROXIMATELY 1,248 SQ. FT. OF ONE FLOOR LIVING SPACE. THE LOWER LEVEL CONTAINS THE LAUNDRY HOOKUP AND AN OVERSIZED TWO CAR GARAGE WITH LARGE WORKSHOP AREA. THERE IS A LARGE FRONT PORCH OVER THE GARAGE. ELECTRIC BASEBOARD HEAT. 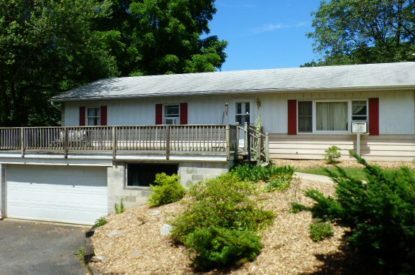 ALSO ON THIS PROPERTY IS A 1994 SINGLE-WIDE MOBILE HOME FEATURING A LIVING ROOM W/ STONE FIREPLACE; KITCHEN W/ ISLAND WORKSPACE; DINING AREA; LAUNDRY; MASTER BEDROOM WITH LARGE MASTER BATH & HIS/HER CLOSETS; ANOTHER BEDROOM; AND A FULL BATH. APPROX. 1,064 SQ. FT. ELECTRIC FORCED AIR HEAT. CENTRAL AIR. SHARED WELL AND SEPTIC. 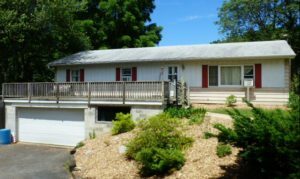 ALL THIS IS SITUATED ON A 1.34 (+/-) ACRE LOT ALONG WITH A LARGE STORAGE SHED, A STREAM, PLENTY OF OFF-STREET PARKING, AND PLENTY OF ROOM TO RUN/PLAY/GARDEN. 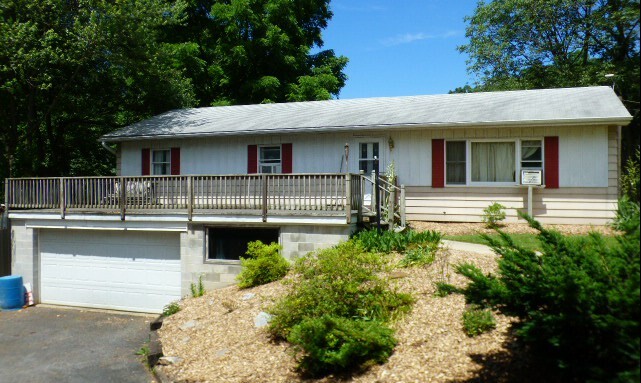 THIS IS A UNIQUE PROPERTY, WITH LOADS OF POTENTIAL, INCLUDING IN-LAW QUARTERS, CONVENIENTLY SITUATED ON A PEACEFUL RURAL LOT YET CLOSE TO MAJOR ROUTES. THIS IS PART OF AN ESTATE, AND THE SELLERS ARE MOTIVATED TO SELL. YOU WILL NOT WANT TO MISS THIS EXCELLENT OPPORTUNITY! OPEN HOUSES TO BE HELD SAT., JULY 28 AND SAT., AUG. 4 FROM 1-3PM, OR BY APPOINTMENT, CONTACT AUCTIONEER AT (717) 371-9603.